Conversion optimization is the coolest thing. Does this or that work better when it comes to getting people to take action? Not by guessing, or gut feel, or even a prescient Magic 8 Ball. And as usual, software + the Internet does all the hard part. Mention A/B or “split” testing and some people go stark white with fear. But most just look at you with a blank stare, wondering how to escape gracefully and score some more hors d’oeuvres. I think this happens because most advocates of conversion optimization are a special kind of geek. They love testing landing page elements and can’t understand why others don’t share the profound joy they experience in doing it. The key is to show you how cool it is from a results standpoint. Then you might just get into the geekery, because it pays really well. So, I’ll point you to some solid introductory testing tutorials in a bit. But first, let’s look at the cool. Here are 7 examples of how little changes to a landing page made a big ol’ difference when it came to getting more of the people who visit a page to do what someone wanted them to do. 37 Signals ran a headline test with Google Website Optimizer on the sign-up page for their Highrise software. Of five rotated options, a clear winner (and loser) emerged. People love to hate on the still effective “click here” call to action. So the word “here” by itself should be completely ridiculous, right? Not so. In this day and age, even free stuff requires a compelling push for significant sign-ups. Online address book Soocial found that after explaining the benefits of the service, they had to make it clear that registration was free. Out of “Sign up for Free,” “It’s Free,” or “Free Signup,” can you guess which performed best? It’s Free placed to the right of the sign-up button outperformed the other options, and boosted registrations by 28% over the control. Not bad for two little words. Can a simple change in button color make a difference? Absolutely — in fact, quite a big difference. By changing the sign-up button from green to red, Performable boosted conversions by 21%. CareLogger tested the same thing, and boosted conversion by 34%! How will you know what colors work best for you? Test! What if you asked for the same form field information, but instead of the standard presentation, did it in narrative format? You know, like a Mad Libs game from when we were kids? When tested, these “Mad Libs” style forms increased conversion across the board by 25-40%. Sometimes, a unique approach works over convention even in the most mundane situations. But you won’t know for sure by gut instinct alone — only the numbers tell the truth. Would you like to raise your email opt-in rate by 258%? Who wouldn’t? Through a series of tests and tweaks, a company offering a free report in exchange for email opt-in was able to do just that. In this case, that substantial boost wasn’t due to changing one thing, but changing a series of small things that resulted in a cumulative win. If you sell online, you know about “shopping cart abandonment syndrome.” People start the process to buy, then change their minds and leave. Are people really deciding not to buy based on the product itself, or is it the process? Testing reveals that by simply moving from a multi-step to single-page checkout process, conversions go up. For example, when split-tested by Elastic Path Software, conversions increased with the single page process by 21.8%. By now you’ve got the point … testing is important if you want to make more of what you’ve got. And the simple fact is, our Premise Landing Page System for WordPress makes creating great landing pages easy, and testing them even easier. We also bundle in valuable conversion education and bonus optimization seminars to help you even more. 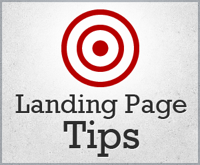 One of the most powerful things to test and tweak on a landing page is the headline. But you’ve got to first write several good candidates to test in the first place, right? The whole secret to writing great headlines is knowing why successful headlines work. And ace copywriter Jeff Sexton and I have put together the most intensive headline tutorial yet to teach you this vital skill. Premise owners get instant access to it, along with extensive tutorials on how to create the most important landing page types every online business owner needs. So go ahead and take advantage of the free resources on this page … or take it further and pick up Premise for yourself. Either way, you can’t afford to leave your conversion to guesswork and chance. Get here from a link from a friend, Twitter, or Facebook? This lesson is part of a 20-part free email course on the essential pillars of internet marketing that works, without the hype and sleaze. Learn more about it and sign up here.